WASHINGTON — A Las Vegas company was ordered to pull its herbal supplements off the market because some of its products tested positive for salmonella, part of a nationwide outbreak linked to the ingredient kratom. The mandatory recall is the first of its kind for the U.S. Food and Drug Administration. The FDA said Tuesday that it took the rare step of ordering the recall because Triangle Pharmanaturals refused to cooperate with U.S. regulators. Companies typically comply with government requests and voluntarily recall tainted products. Various brands of kratom supplements have been linked to nearly 90 cases of salmonella across 35 states, according to federal figures. Salmonella is a bacterial infection that causes fever, cramps, diarrhea and nausea and can be life-threatening. Nearly 30 cases of the current outbreak have resulted in hospitalization, the Centers for Disease Control and Prevention reports. Three other manufacturers have complied with a voluntary recall, CBS News' Anna Werner reports. Kratom is made from a plant native to Southeast Asia. Sold in various capsules and powders, kratom has gained popularity in the U.S. as an alternative treatment for pain, anxiety, drug dependence and even opioid withdrawal. The FDA has been cracking down, stating that kratom has no approved medical use and chemically resembles an opioid, the class of addictive drugs behind the current nationwide epidemic of drug abuse. 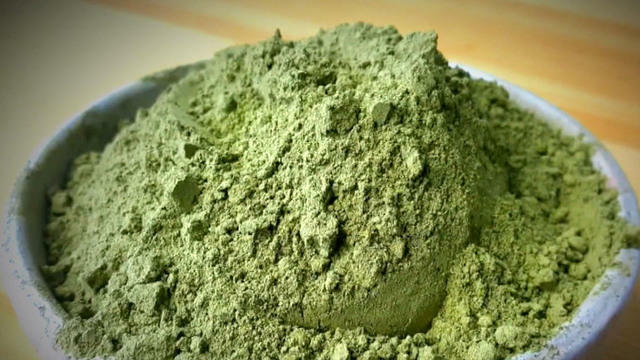 Since kratom is considered a dietary supplement, not a drug, it has not been subject to the same federal requirements to prove its safety or whether it works. Contamination is also a risk. "The issue is that they're not subject to pre-market safety testing, so unlike prescription drugs they've not been shown to be safe or effective," Chuck Jones, the Consumers Union program director, told CBS News. Consumers who have one or more of these products in their home should throw them away immediately. As an additional precaution, the FDA recommends kratom no longer stored in its original packaging should be discarded and the containers used to store it be thoroughly sanitized. After handling these products, people should wash their hands thoroughly, as well as work surfaces and utensils after contact.